As you all know that all rooting methods(Framaroot,Oneclickroot,Towelroot,360super root,adb methods etc) failed on coolpad note 3,so I am providing here working method to root CPN3. 5. Open spflashtool folder and paste "recovery.img" and "MT6753_Android_scatter.txt" files into spflashtool folder. 6. Now right click on "flash_tool.exe" and run as administrater,after flashtool start,click on "scatter loading" and select "MT6753_Android_scatter.txt" . Its not working on windows 10 or windows 8.1 64 bit. After connecting the phone after switching off nothing happens. The phone goes to charging mode. Please provide the method for this OS. I cant downgrade to windows 7 in any case now. hey sir, i installed all the drivers you mentioned above. but whenever i turn off my phone with VOL+ button it starts charging itself nothing else. also SPTOOL is not even detecting that my phone is connected or not. Read all steps carefully,check all drivers installed correctly or not. You nailed it brother! Was searching for a rooting method for this beast but was unable to find one. Just rooted my Coolpad Note 3 after reading this post. Great job. Keep it up!!! I flashed the stock rom. Now my system version is V015. The version V019 released.But The update is not showing....what can i Do? They have removed updates from there server.No one is getting update now.Whenever they will put update again,hopefully you will get that. Will the bootloader be unlocked if i root using this method? I am unable to install TWRP though it shows download complete after connecting to phone in Flash toolkit.Booting into recovery shows no command. No command means you are still on stock recovery,means you haven't rooted your phone yet,first root using your mobile by the method given in this blog,then flash this. Thanks Rajaul, I was able to root my coolpad and install CWM finally, but i was unable to install TWRP recovery.Any suggestions? TWRP recovery i have used is the one i used in oneplus one.That is the problem.Yours worked like a charm.Thanks!! By the way did you customize TWRP to work for this device?How can i get themes for TWRP? I had used TWRP img file which i had used in oneplus one earlier.That was the problem.Yours worked like a charm.Thanks!!! Why didn't the other img file work?Did you customize TWRP to work for CN3?How can i change its theme? You can change theme by just changing ui.zip file inside theme folder.Google it,there are lots of themes available. Thanks a lot for this blog. Very informative. Successfully rooted my Coolpad note 3 today. Brother if i follow your above procedure, will it replace the stock recovery? Not able to root on windows 8....pls help asap....!!!! Use Windows 7 and install both drivers. Hi...thanks for the details, can you tell me what is the default version of firmware it sets post the root - if v15 is there then v19 or v20 will be required, are we getting this or do we have any repository of these files. Please suggest as v15 has enough issues. hello bro i have installed both drivers and running sp flash as admin, after clicking download and connecting CN3 in switchoff mode followed by pressing volume up key twice... i am not getting any response in sp flash software like green bar or right tick...please help me out. I just refresh my note3 system to 360 OS,can your method support 360 os to root? If you have flashed 360 OS through any custom recovery then flashing SuperSU zip file through recovery will root your Phone. 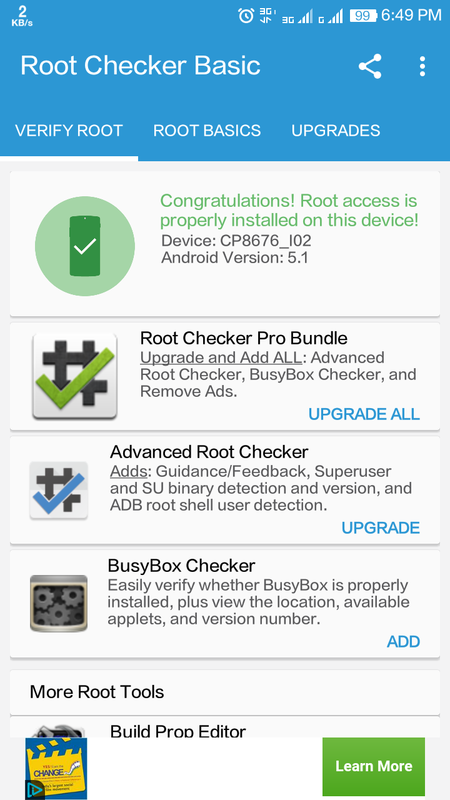 After that give autostart and all other permission to SuperSU in 360 OS to work root flawlessly. I want know if I need to remove all the data from phone,then install the SuperSu?Please advise.Thanks. Please note,my system is 360OS now. Which recovery you are using to flash SuperSU zip file. Use TWRP and give me recovery log file. bro i root my phone 1 month ago. now its not installing OTA updates. i want to fully unroot my phone to install OTA updates. please provide method to unroot. i have tried full unroot feature of SuperSU but it isn't working. so please help me unroot. If you want ota update then you will have to flash stock ROM. Or wait till 14th Jan,I will try to make update zip for rooted phones, but I can't assure you that I will get success on that. hi i have buye coolpad note3 phone yesterday now iam not getting touch of home pg plz cl me i can explain you detile.. I am just a simple Coolpad Note 3 user like you brother, not coolpad employee. Just writing these articles to help others. Call Coolpad customer care or contact Coolpad service center for your problem. Could u pls create someother method for rooting coolpad note 3..am unable to root as am unable to intall sp driver v2.0 ..I have tried with both win 7 and win 8.. 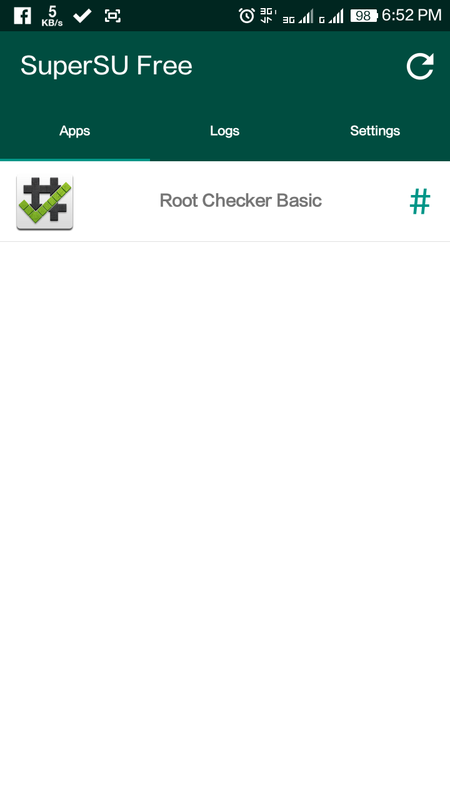 If you are not able to root your phone with this method then it is better to not root because you will not be able to flash stock rom also with the help of spflashtool,and my experience with this phone says me that there is very much possibility of bricking or facing bootloop issue with this phone.I have faced many bootloops in this phone on slight firmware alterations. In case of restoring bricked phone,spflashtool is very much needed. I had tried and succeed to root my coolpad note 3 last time but after updating it to V24, i tried but not able to root with flash tool. That slider is not running and not getting done msg. What should i do ? I am using CPN3 v24. After rooting by this method how can I install the future coming OTA Updates. Rooting voids warranty,so you will not be able to update. I think this rooting method is not working after we updated cpn3 to v24 .While running flash tool no done message is shown.Please check it. Dude warranty is something else and update is something else for ur info the phone can be updated to latest version after root if a developer makes an updated file that can be flashed through custom recovery. dude is this work for another coolpad phones? No,this method is for coolpad note 3 only. 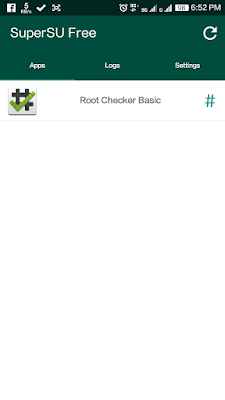 Kingroot as well as kingaroot are not able to root on version 024. Whats the solution now? how unlock boot loader of CPNIII..? i m unable to use xposed installet app after rooting my device ..and no options to install/updates in framework ..any help ?? i rooted it via kingroot if i will root via your flash method then xposed framework will work or not....?? hey man! When you clicked the download button on sp flash tool does the pc require internet connection at that instant????? is jio sim work in coolpad note3 ? Full Procedure Completed but one problem Arised that the Discharging of the battery is not Showing means if the battery is 60%, i use it for 6-7 hrs it is getting directly switched off. Means its not Showing the Discharging of the battery..
Will it work for coolpad mega 2.5d?? Cannot download the Kingroot application. Says infected with virus and only the owner is allowed to download infected files.